Join RISD for a special tour for senior citizens (55 and up) that are residents of RISD. The tour will be Wednesday May 21 at 8:30. 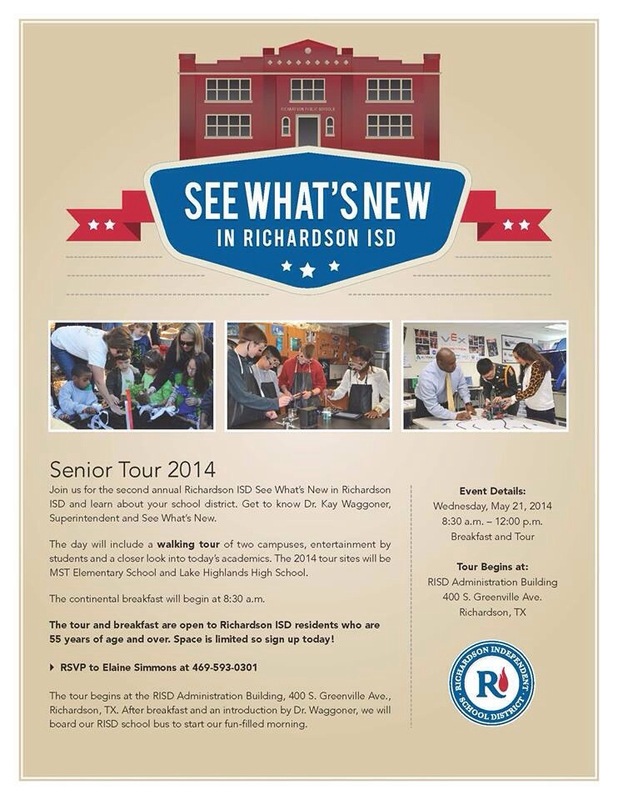 See what’s new, visit an RISD elementary school and an RISD high school.